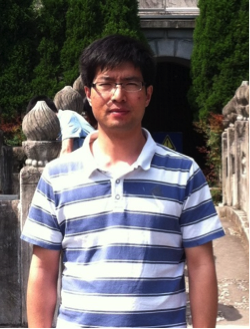 A native of Shanxi in Northern China, Dr. Chen received his undergraduate education in grassland ecology (Inner Mongolia University), MS in forest ecology (Chinese Academy of Sciences), and PhD in ecosystem Analysis (University of Washington). His postdoc training was in the stream ecology and ecosystem management. He was a Bullard Fellow at Harvard University (1999-2000). He was on the faculty at Michigan Tech University (1993-2001) and University of Toledo (2001-2014). His research and academic instruction programs are on ecosystem processes and their interactive feedbacks to the biophysical and human activities, including community ecology to 3-D canopy structure, forest fragmentation, edge effects, riparian zone, conservation biology, landscape ecology, and micrometeorology. His current research lies in the coupled effects of global climate change and human activities on terrestrial ecosystems, global change ecology, bioenergy, and carbon/water fluxes. He will be teaching special topics on coupled human and natural systems, micrometeorological instrumentation & measurements, image processing and GIS, and global change science. He is a fellow of the American Association for the Advancement of Science (AAAS, 2011) and a fellow of Ecological Society of America (ESA, 2014). 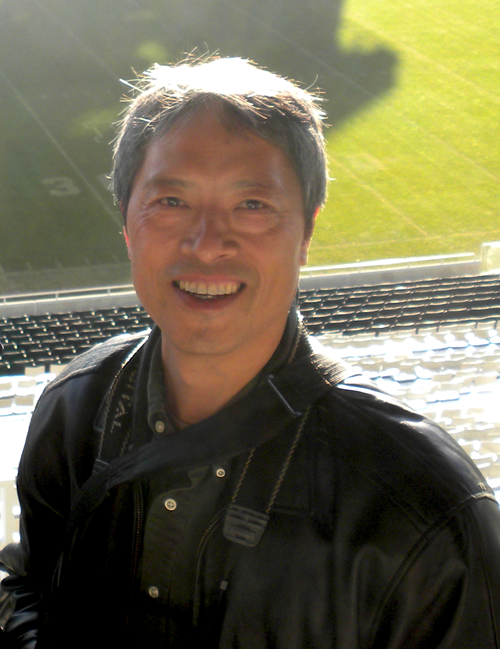 Dr. Chen is also the Editor-in-Chief for two book series: 1) Landscape Ecology (Springer); and 2) Ecosystem Science and Application –ESA (HEP & De Gruyter). He is the founder and chief scientist of the US-China Carbon Consortium (USCCC) . He enjoys Thai Chi practice and Buddha Meditation. He is also a member of the Ecology, Evolutionary Biology, and Behavior (EEBB)	Graduate Program and the Environmental Science & Policy Program (ESPP). Dr. Raffaele Lafortezza is Adjunct Professor at the Center for Global Change and Earth Observations (CGCEO), Michigan State University. He holds a PhD in Landscape Ecology and Planning from the University of Bari (2002) and has accumulated considerable experience in landscape ecology issues by participating in numerous research projects and scientific collaborations conducted worldwide. His main research interest lies in the fields of landscape modeling at multiple spatial and temporal scales, sustainable land management in the context of global change, ecosystem services associated with green infrastructures and nature-based solutions, quantitative assessment of biodiversity, and analysis of ecological disturbances, including forest fires and fragmentation in wildland urban interfaces. In addition, he seeks to understand the impact of human activity on ecosystems (i.e., coupled human and natural systems) and to discover methods for preserving ecological patterns and related processes/services. Dr. Lafortezza has developed his research interests in the United States (University of Toledo, Michigan State University), Canada (University of Guelph), Japan (University of Tsukuba, University of Tokyo), and the United Kingdom (University of Cambridge) and has been involved, as principal- and co-investigator, in many research projects. He is Associate Editor of the journal "Urban Forestry & Urban Greening” (Elsevier) and a member of the Editorial Board of the Springer journals “Landscape Ecology” and “Ecological Processes”. My research interest lies in measuring and modeling the physical processes involved in the soil-plant-atmosphere continuum, with a special focus on energy and mass exchange measurement between surfaces (bare soil, vegetated, wet-lands and/or water) and the atmosphere using micrometeorological methods. I am interested in investigating energy balance closure using eddy covariance measured fluxes; and also the influence of land-use and climate changes on heat, carbon dioxide, water vapor and other trace gas fluxes. My previous studies concentrated on measurement and modeling of crop growth and development, soil water balance, solar radiation and its interception by shrubs, and evapotranspiration from sparse trees. I was also involved in investigating inexpensive means of estimating sensible heat flux from high frequency air temperature measurements. Connor received her B.S. in Fisheries and Wildlife from MSU in 2014. She completed her M.S. degree in 2016 at the University of Florida, where she conducted research for UF-IFAS’s Range Cattle Research and Education Center. Her research interests primarily focus on biological invasions of mammals, such as the impacts of invasive feral swine on Florida rangelands. Connor regularly edits publications, runs the website, and assists in organizing fieldwork campaigns among other lab responsibilities. Outside of work and research, Connor enjoys spending time with her dogs, hiking, gardening, cooking, and travelling. 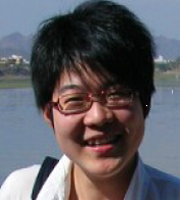 Dr. Shenghua Gao graduated from Nanchang University with a major in environmental engineering. He then received his M.S. and Ph.D. from the Chinese Academy of Forestry in ecology. Since 2015, he has worked as an assistant research fellow for the Research Institute of Forestry, Chinese Academy of Forestry. His research interests lie on ecosystem carbon and water processes, as well as forestry technique development for global change mitigation. He used to investigate the carbon dioxide and methane fluxes as well as evapotranspiration of a riparian forest plantation using flux towers. Recently, he has expanded his field of work into riparian ecosystems, aiming to reveal methane fluxes and their component dynamics as well as controls. During his visit to the LEES Lab, he will assess the carbon sequestration and water consumption of a forest plantation at the stand-cycle and life-cycle scales. 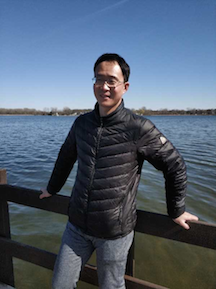 Dr. Li devotes to the interdisciplinary research with assist of Remote Sensing and Geospatial technologies in the fields of Geography and Ecology. He has rich experiences in field experiments, processing and analysing time series remote sensing data. The scientific questions he tries to explore are how the terrestrial ecosystem at regional and global scales responds to changing climate companying with an intensive disturbance from human activity. 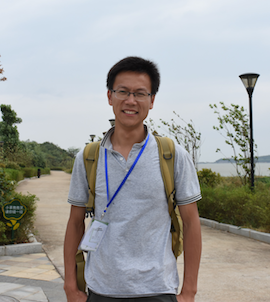 His current focus in the LEES lab is to monitor and evaluate sustainability in grassland biome in context of climate warming at Mongolia Plateau and global scales. 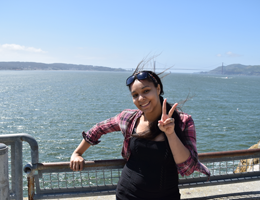 Cheyenne is a doctoral student in the LEES lab at Michigan State University. She holds a Masters of Arts in Geography from Western Michigan University and a Bachelor of Science in Earth Science from Northern Michigan University. 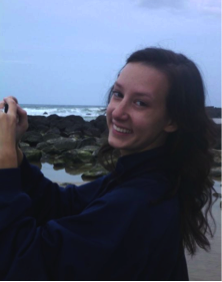 She is interested in geographic information systems, cartography and environmental and resource analysis. Her focus is in analyzing water quality and land use and land cover change at multiple spatial and temporal scales, with emphasis on providing sustainable land and water management and addressing the impact of anthropogenic activities on water quantity and quality. 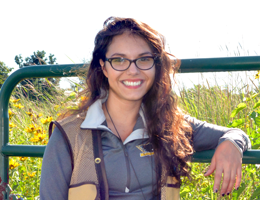 She has collaborated alongside multiple watershed councils within Michigan in water data collection, invasive species monitoring and public education. 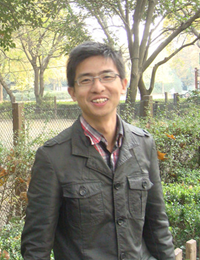 Dong Liu is a visiting scholar from the Chinese Academy of Sciences. His research is to investigate the impacts of land use change on nitrogen flow in agricultural ecosystems. He is also doing some work on ecological carrying capacity in urban areas of China. My former research focused on mapping and investigating invasive plants in wetlands (such as Spartina alterniflora in the east coast of China) by remote sensing techniques and GIS. Currently, my research interest has moved on to carbon fluxes of terrestrial ecosystems, as I think carbon related problems such as greenhouse gases, carbon storage and cycling , and so on are core issues of global climate change. I love science, but I also like many other things, like cycling, swimming, playing ping-pong and reading. 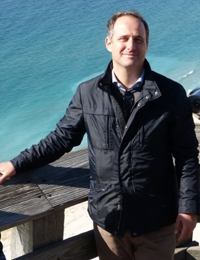 An interdisciplinary researcher at heart, David grew up in Michigan and received Bachelor and Master degrees in Climate Physics and Atmospheric Science from University of Michigan. He moved to Wyoming for to complete his PhD between the Atmosphere Science department and the Program in Ecology, examining ecosystem flux response to forest mortality from native bark beetles while also working on climate change impacts on sagebrush ecosystem fluxes. David served as a visiting professor of physics at Dickinson College for a year, teaching meteorology, climate and physics, and then he received a National Science Foundation Postdoctoral Fellowship to work with Ankur Desai at UW-Madison. 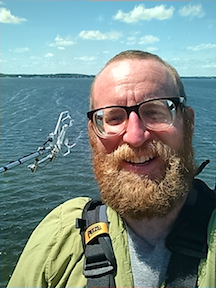 During his time in Madison, David worked on improving observations of lake thermodynamics and carbon fluxes, collaborating with the Long Term Ecological Research North Temperate Lakes group. Happy to return to Michigan, David is currently working on landscape scale carbon fluxes with the LEES group. Outside of work, David enjoys spending time with his dog Yost, being outdoors, baking, biking, and tabletop games. Pietro Sciusco is a PhD student in the LEES lab at Michigan State University. He received his Master’s Degree at the Department of Agricultural and Environmental Sciences (DISAAT), University of Bari (Supervisor: Prof. Raffaele Lafortezza). His interest’s research is to investigate the use of satellite data, such as ESA Sentinel-1 and -2, to estimate ecological processes in agricultural and forest landscapes. 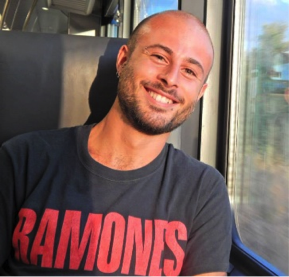 Pietro did an internship at Planetek Italia, an Italian company in the field of Earth Observation technologies, where he studied the fusion of radar, optical and hyperspectral data. As an example, he used ESA’s Sentinel Application Platform (SNAP) as a tool for Sentinel data processing to estimate forest biomass. In addition, he gained experience with ERDAS Imagine 2016 and PolSARpro for data processing. Pietro also spent approximately three months in 2017 at the Landscape Ecology and Ecosystem Science lab at Michigan State University (Michigan, USA) where, under the supervision of Dr. Jiquan Chen, he investigated the relationships between radar variables (from both RADARSAT-2 and Sentinel-1) and EC flux measurements (CO2 fluxes) in one of the KBS’ Long Experimental Sites located in Kalamazoo watershed, Michigan. Besides studying and doing research, Pietro enjoys a variety of hobbies including insect collection, gardening, do-it-yourself, playing the drums and the guitar, skating, as well as technology. Gabriela's academic and volunteer experiences have landed her between people and the environment. With a B.S. in Scientific and Technical Communications from Michigan Tech, she initially worked in community based qualitative research and environmental communications discussing land management, geothermal energy, and community engagement in watershed health. As a graduate student, she will apply her knowledge at a larger scale: across the Kalamazoo watershed. Her research will link human activity to carbon emission and compare it to eddy covariance towers and historical landscape change dating back to the 1950s. Beyond LEES, Gabriela is found scoping out Lansing's musical venues, hosting dinner parties and trying to be a decent trivia partner. I joined the team in fall 2013 to pursue my Ph.D. study in the research area of life cycle sustainability assessment. I have bachelor degree in Agronomy and Master degrees in Environment and Energy Studies. During my Master study, I grew interested in the Life Cycle Assessment (LCA). After graduation, I began working on LCA related topics in China (e.g. eco-design, carbon footprint) and I found that the popularization of partial LCA enables many companies to use “halo effects” which jeopardizes the company as they may “green wash” by claiming a product system as “green ” simply because it has a superior sustainability than something else. Thus, a holistic way of assessing product systems' overall sustainability is needed in order to help the industry better understand their current performance and improve policy. The topic which Professor JiQuan Chen and Doctor Defne Apul are working on is very interesting to me. They are conducting life cycle sustainability analysis of proposed photovoltaic technologies and comparing them to different alternatives. I am excited to begin my work here and study this most interesting, and interdisciplinary, topic.